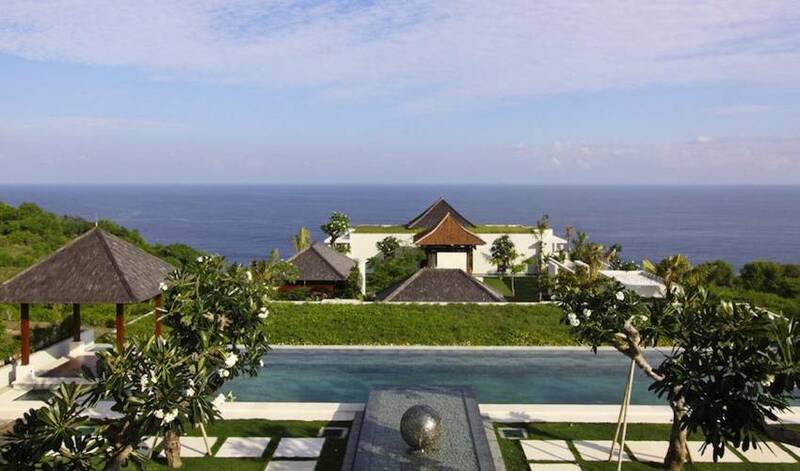 Villa 3388 is a four bedrooms villa, standing on a set back position behind Villa 3387, but on an upper level, which preserves the panoramic view on the ocean. It is built on three floors and accommodates four independent en suite bedrooms, leading to a large and bright living space. 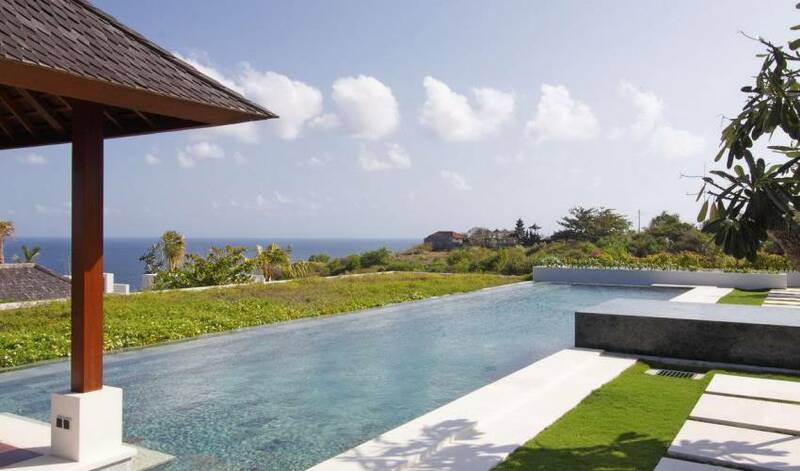 Overlooking the terrace bordered with frangipani trees, and a bit further the infinity–edge pool, this wide opened room is the center of the villa which can welcome up to 8 guests. Landscaped entrance patio with water wall. Covered terraces with sun lounge and dining space. Two bedroom suites with private terrace. 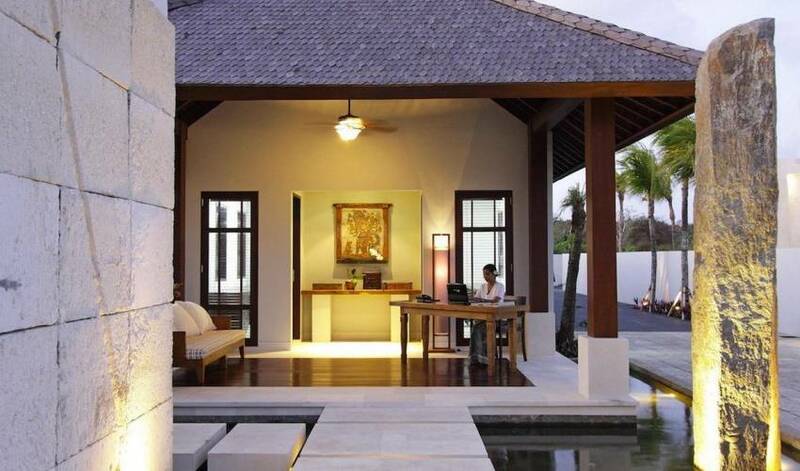 Guest pavilion with its bedroom suite, open air bath room and private terrace. All bedrooms with air-conditioning, walk in ward robe, safe. Spa pavilion with two massage tables and shower. Wi fi connections on each level. 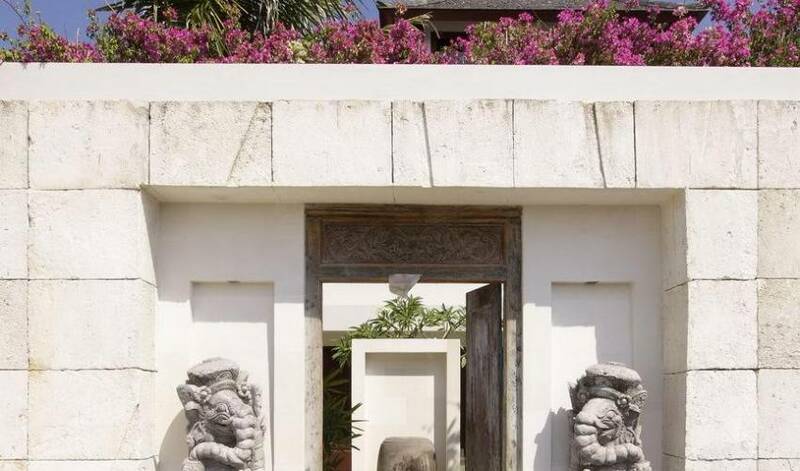 One enters Villa 3388 through a landscaped courtyard, where the spa pavilion meets a cascading water-wall encrusted with a Balinese bas-relief, facing the snooker room at the same level. 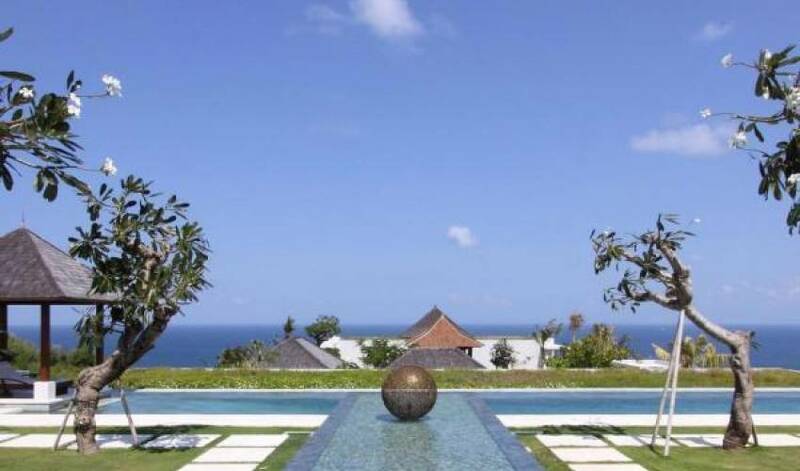 On the upper level, guests are welcomed by a large reception room that gives an outstanding view on the garden and the Indian Ocean. 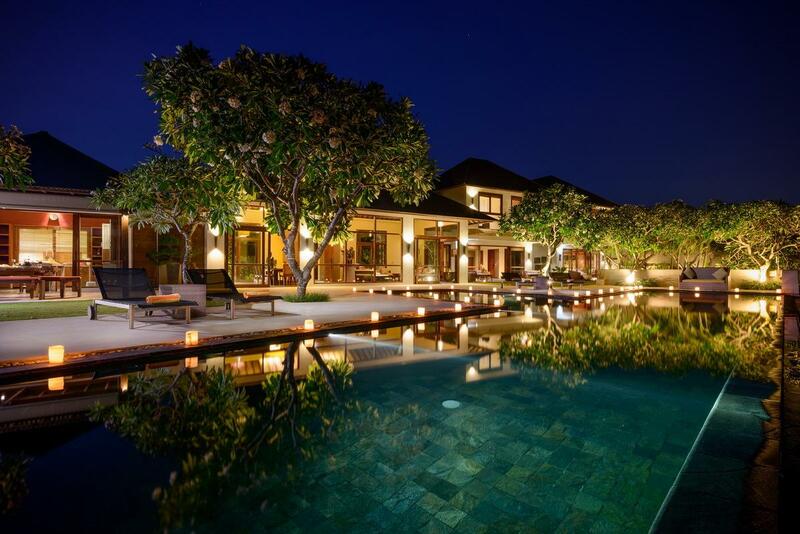 Standing in front of the pool, a stainless steel torch lightens up in the evening to give a party atmosphere to the terrace. 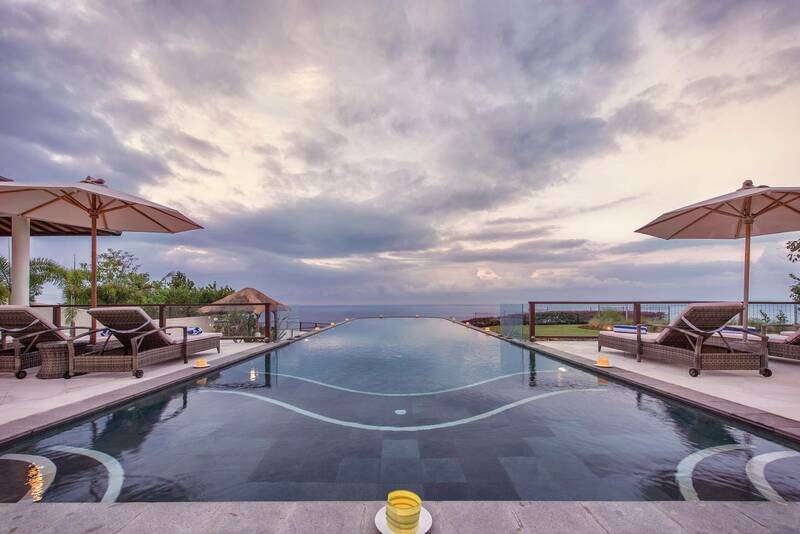 On a set back position, two large bedroom suites can accommodate two couples, offering a king-size bed, a private terrace and a bathroom with open air bath tub. Cross a patio decorated with tranquil water features to reach a guest pavilion, and you will find a large bedroom suite, with a four-poster king-size bed, with a private terrace and a half open air bathroom. 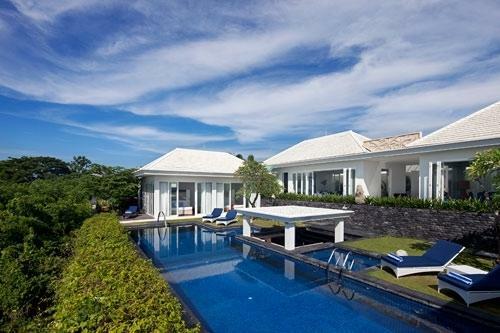 The top floor of this villa houses the master bedroom suite which offers a magnificent view of the ocean, and opens up on two lounge terraces and a generous deck. Two cleaning and attendance staff.